Although I hadn’t read Summer Moved On (The South Devon Duo Book 1) Jo Lambert’s first book in the series, I had no trouble following the story and discovering the personalities of the characters involved. 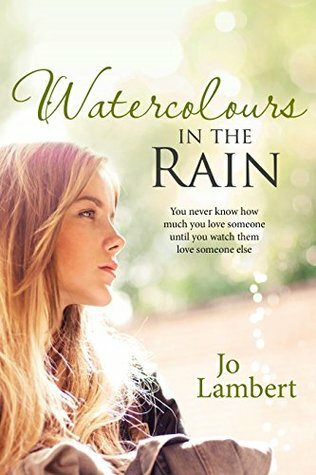 (It wasn’t until I began this review that I read the blurb and realised how much Watercolours in the Rain can indeed be a stand-alone novel.) Any past action from the previous book was subtly and cleverly inserted; either into the dialogue, brought out through memories, or the descriptions of the settings, or how the characters have evolved.. I don’t give spoilers away in my reviews so I’d just like to say why I so liked this novel. First of all Watercolours in the Rain is written in a style that I love; different points of view presented by each of the characters. In this case, Jess, Lily and Talún, all with their own voice There is no doubt whose dialogue it is and as the story progresses the characters are given greater depth; leaving it to the reader who to have empathy with… and who to detest. And, believe me, there are one or two really detestable characters that I became angry with. (being so involved that I still feel some emotion, whatever it is, when I’ve put the book down, is always a good sign that I’m reading a brilliant story) . Both the internal and the spoken dialogue is realistic and, as I say above, distinctive to each character. The characters are rounded and believable without unnecessary detail of how each looks; this is drip -fed throughout the book.. The descriptions give a great sense of place. I thought the plot line both clever and, sometimes, surprising.I liked the author’s style of writing; so easy to read and yet constantly throwing up tantalising twists and turns. And, best of all, it’s a good story. I hope to read more from Jo Lambert. The Way You Look Tonight is a hot contemporary romance and book #2 of the Seattle Sullivans. Easily a stand alone book. Rafe Sullivan is a PI. 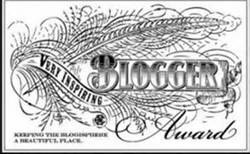 The big dollar cases are all marriage related, but the emotional strain of finding so many marriages that fail makes Rafe skeptical of trusting that true love is real. When his real estate sister produces details of the lake house that their family once owned and spent many happy summers at, Rafe is cornered by Mia. She already has plans for their old family home and just needs his signature. Mia sends Rafe out to his new house and away from the stress of his work and a past experience with an angry husband of one of his clients. When he arrives he finds the place trashed and uninhabitable. Brooke Jansen spent her childhood summers at her grandparents Washington state lake house and spent many hours with the Sullivans who lived next door. When her Grandparents died they left her the lake house and now Brooke uses it as a base for her chocolate business. She can’t believe that the new owner of the house next door is her childhood crush, Rafe. She’d heard the Sullivans had sold up years ago. Brooke offers Rafe a place to crash while he does his lake house up, but it soon becomes apparent that Brooke’s crush isn’t over and Rafe certainly likes the women Brooke has grown up to be. Can Rafe let down his guard enough to let Brooke in? Or will be chase her away with his controlling urges? 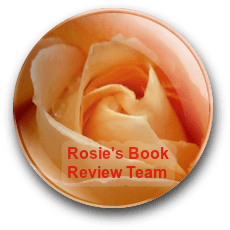 Please Release Me is a contemporary romance with a paranormal element from ChocLit author Rhoda Baxter. 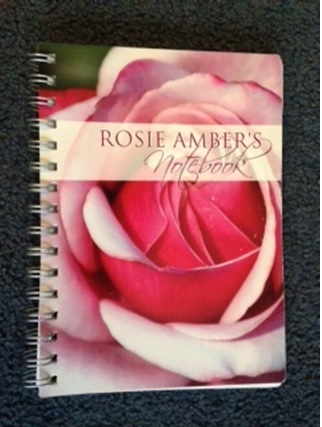 The book opens at the wedding scene of Peter and Sally which turns to a tragedy in the blink of an eye. Ten months later and Peter visits Sally everyday, she’s in a coma. Another daily visitor to the hospice is Grace. She’s lost both her parents and now visits a close friend of her mother. 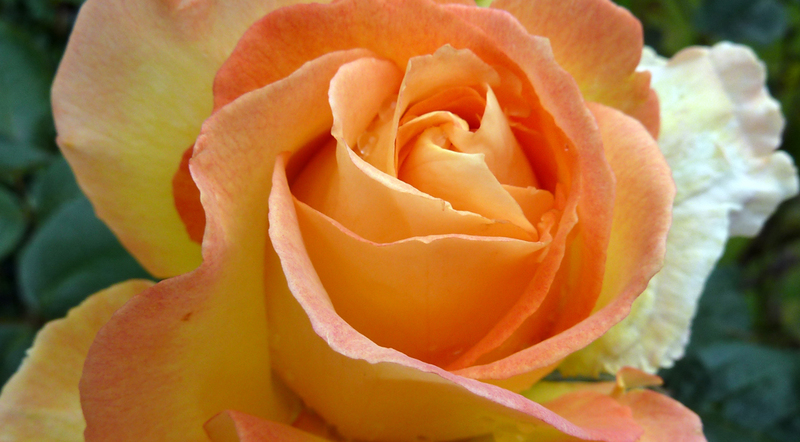 Grace is lonely and alone and fears making a new start. Peter is consumed with guilt, existing day to day, fearing a life without Sally and fearing a life with Sally should she recover. Peter and Grace find comfort in each other. In her hospital bed, Sally can hear the voices, but she can’t communicate until one stormy night an electrical fault grants her wish. She latches onto Grace, who seems to be the only one who can help her. They form a friendship which has highs and lows and go on a journey of discovery for more than one person. This book has a slow start and I didn’t connect to the characters until the night of the storm, when for me the book took off in an entertaining angle. The relationship between Grace and Sally worked well and was a delight to read. Stronger within is a rock romance set mainly in a town in Delaware. It opens with us being introduced to Lori as she makes her painful way down the beach on crutches. Lori is slowly recovering from a serious leg injury and is struggling with the mental condition of a long recovery. That is until Jake Power walks into her life to help her when she takes a fall. 35 year old Jake works in a pizza parlour but his big dream is to become a rock star. He’s in a band called Silver Lake. Jake sees something in Lori he likes and wants to pursue and Lori’s whole life seems brighter with Jake around. With Lori’s past as designer Mz Hyde and the help of best friend Maddison Addison, Jake and the band are given a wonderful opportunity to fulfil their dreams. The book takes you along as the band grows from playing in the local pub to supporting a top act on tour. This is a good debut novel and great for lovers of a rock romance. The Faerie Tree is a contemporary family relationships drama. It is primarily set in the county of Hampshire. We meet Izzie and her daughter Claire just before Christmas, this will be their first Christmas without Conner, husband and father, who died a few months ago. Everything is still very raw, both are trying to be strong for each other. By chance Izzie bumps into a tramp in Winchester and realises it’s Robin, a man she hasn’t seen for twenty years. Back in 1986 Robin was an office manager and Izzie sold stationary, they were just beginning a romance when Robin disappeared from Izzie’s life and left her desperate and alone. Curious to know what happened in the intervening years Izzie searches for Robin, finding him in the hospital. When it’s time for him to leave she offers him a place to stay. 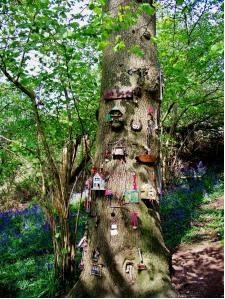 Central to the plot is The Faerie tree, a tree in the woods where all sorts of people go in search of wishes being granted, they leave ribbons, messages, money and other gifts for the fairy folk. Robin took Izzie to the tree the day before disaster struck for their relationship. After the great storm of 1987 which swept Britain, Robin returned to the Faerie tree to make sure it was undamaged and in doing so he found a friend and began a new chapter of his life. Jennifer understood that Robin was suffering from depression and she became like a Mum to him helping him build back his life. When Izzie finds Robin’s again, he’s recently suffered another huge blow and has dealt with it in the only way he knows how. They try to re-build their relationship but it struggles because of the grief that they both still hold. This is a very emotional book, with several twists and turns, at one time I thought there were gaps in the storyline which didn’t add up but this all comes full circle as the story continues and you get a greater understanding of the characters. A very good read. HOW CAN A MEMORY SO VIVID BE WRONG? In the summer of 1986 Robin and Izzie hold hands under The Faerie Tree and wish for a future together. Within hours tragedy rips their dreams apart. In the winter of 2006 they stumble back into each other’s lives and try to create a second chance. But why are their memories of 1986 so different? And which one of them is right? 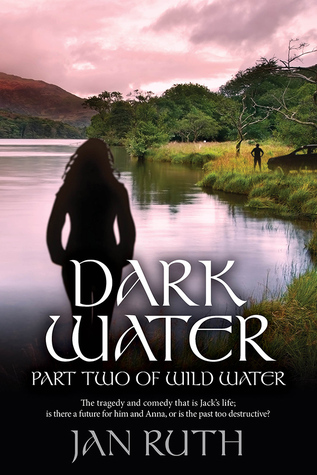 I loved Jan Ruth’s ‘Wild Water’, the first book in this series, and was really looking forward to re-joining Jack Redman and following more of his trials and tribulations. I had high hopes, and I wasn’t disappointed. The story begins with Jack once again trying to please everybody, to do the right thing, and failing. Torn between being with Anna, whose independent nature prevents her from committing, and trying to do the right thing for his children, Jack unwillingly creates a situation that jeopardises his happiness and his future. And to make things worse, daughter Chelsey’s real father arrives on the scene. Unstable and disturbed, Simon Banks poses a real threat and this storyline gives a much darker thread to the story that prevents this (as does the skilful writing) from being chick lit or light romance. There are dark, threatening twists and turns that add another layer and that, in my opinion, make this novel far more accomplished and more interesting than ‘Wild Water’, as good as that is. That said, there is still plenty of humour and lots of lovely lighter moments that make this a thoroughly enjoyable read. Once again, the characters are believable, empathetic and well-drawn and the settings and events bring a realism to the narrative that anchor the story in both time and place. This is a great read, a lovely way to escape on a miserable post-Christmas chilly evening and is definitely recommended. Daniel and Tina decide to cement their on-off relationship of twenty-five years with a marriage ceremony in the town they grew up in, near Snowdonia in North Wales. They start their married life living in the hotel Daniel is renovating. Things between the newly weds begin to crumble after just a few months. Tina is keeping an overwhelming secret and doing her best to deal with it in the only way she feels she can. Their old school friends, who haven’t seen each other for years, Victoria and Linda and their respective husbands, Max and Mike, are drawn into the resulting fall out which will affect not only those involved but their families as well. 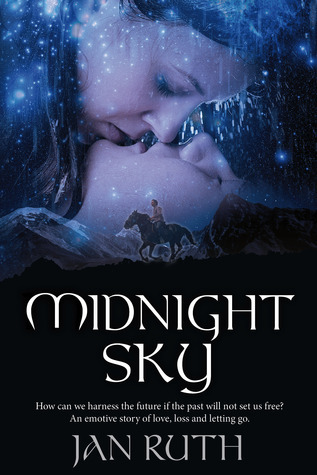 “The first book I selected to review via Rosie’s Book list was MIDNIGHT SKY. I don’t know if it was the cover or the blurb, or both, but something drew me to this one. I can tell you I was not disappointed! 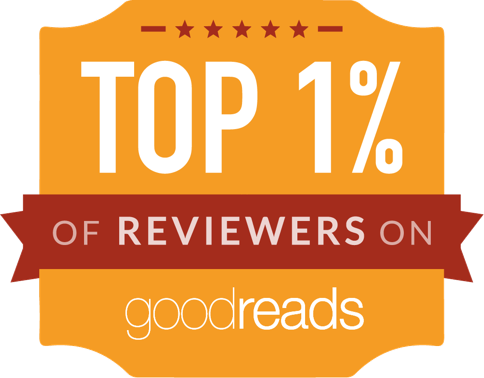 Five stars for my first read! I did not expect that. It’s difficult to explain a story like this in a review, because it was so real! There were a lot of characters who I loved and a lot of issues discussed, which I consider really important. Also, the fact that I know so little about horses added an extra depth to the plot. So, let’s start with the characters. Laura is a pretty, talented home designer who lives and works with a married man, who is now juggling the kids and his ex (but has yet to get a divorce). Simon is the married man and a rogue – he represents the male stereotype I dislike. But, he does seem to care about his kids so he is not a complete waste of space. Maggie, Laura’s older sister, has been in a stable relationship from a young age and is stereotypical of the stay-at-home wife, frustrated by her husbands lack of motivation to help at home. Finally, I have to mention Jess, Maggie’s daughter. A seventeen, going on eighteen, flirtatious and outrageous girl, who made me laugh many times! There are other characters, but the one I have to talk about is the brooding (let’s think of Darcy or perhaps Mr Rochester) male hunk, James! James is heartbroken after losing his wife in a riding accident and I felt his pain on many levels. However, his patience and ability with broken horses and children won me over. When he also managed to be there for Laura when she goes through a traumatic experience he became my favourite!